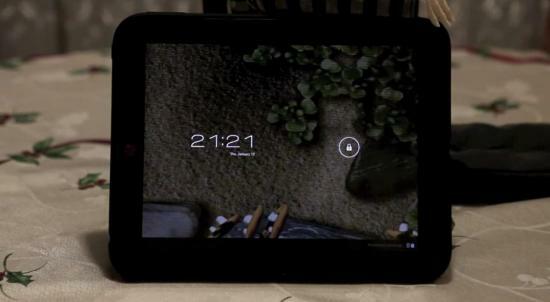 Last Friday we got our first glimpse of CyanogenMod 9 running on the HP TouchPad. For the unfamiliar, CyanogenMod is an Android homebrew development community that has taken the Android Open Source Project and ported the latest version with their own tweaks onto a number of devices. Version 9 brings Android 4.0 Ice Cream Sandwich into the fold, and Alpha 0 of CM9 for TouchPad has now been released to the public. This isn't Alpha 1 - it's Alpha 0 (Alpha releases being feature incomplete, Beta is complete but possibly buggy), so the rough edges are enough to give yourself a minor abrasion. Missing is hardware video support, so you'd be best not to jump in yet if you're hoping for Netflix or HD YouTube. The microphone and cameras don't yet work, and DPI settings are screwing with what's available from the Android Market. And the hardware problems from the older CM7 (Gingerbread) port are still present in CM9. It's Alpha 0, after all. If history is any indication, these kinks will be worked out eventually, but it's open source homebrew development. It takes some time. For those that are thinking about taking the plunge, there is some good news. The new ACMEInstaller2 installer release still supports multiple-boot operating systems. So you can still keep webOS around, or rather, you can use webOS as the default and have ICS sitting on the side for when you really need it.